The first thing to do is download the extension, you can get it over at my blog post about the new email logging features. For the purposes of this little how to guide, let’s assume you put the file in your home directory. On a Unix or Mac computer, start your Terminal of choice, on windows I think you’ll have to use WinSCP (someone want to correct me on that?) and navigate to your home directory, where you diligently saved the extension release file. Looks good eh? Ok now to put those folders where they are supposed to be. For this part I’m going to assume you have a public_html directory in your home directory, and that is the root of your Magento installation. If that is crazy talk to you, an SSH install may not be the best option. # This could debate-ably be put in base, not default as of Magento 1.4 - I'm open to opinion on that. 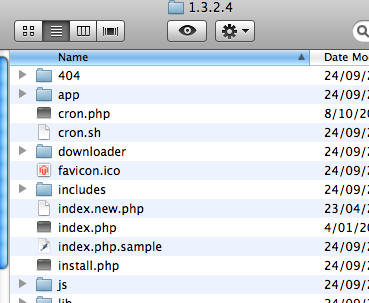 So that puts all the files where they need to be, now you just have to clear your Magento cache and you’re done. You made it. The FTP route is much more graphical, so I’ll try to draw this as a picture using Mac finder, hopefully that will make it clear. You’ll want to do this using your favorite FTP client. 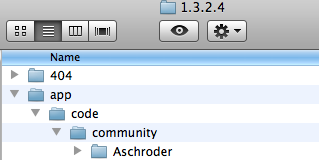 Put the Aschroder directory into the community directory. 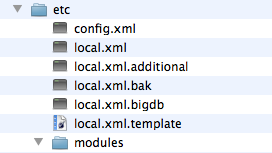 Put the module file into the app/etc/modules directory. Put the smtppro templates into the default adminhtml templates directory. And then you should be done. Refresh your Magento cache and you’ll be complete. Happy emailing. Let me know how you get on. I appreciate it being free extension developer myself (for Joomla CMS). Good that you didn’t omit the ftp method as for simple eshops Magento is often installed on basic hosting programs with no ssh. I had a little problem with the settings (hosting states that SSL has to be on, but in fact it shouldn’t) and I was able to track and fix it using the self-test error log. Too bad there are problems with Magento Connect, hope they’ll fix it soon so your work can spread. My note: maybe insert a short note that the extension option shouldn’t be ‘disabled’ in order to run the self-test. A suggestion: most manually installed extensions come with the complete file structure already in place so the developer can just copy the app folder over the existing app folder, assuming there are no files that will be overwritten, which there aren’t with your extension. I’m sorry, but I followed all the steps and still don’t get the extension in the admin panel (or I don’t know where it is supposed to show up). Does the package.xml should be moved somewhere? I don’t see anything related to that file in the steps. Great extension. Tested on Community and works as advertised. Just wondering what I need to change to make this extension work in enterprise 1.3.2.4? >Great extension. Tested on Community and works as advertised. Just wondering what I need to >change to make this extension work in enterprise 1.3.2.4? The error message was 404 on Email Log and Test page, and actually on some other extensions. Everything else works fine. Thanks for the update Will, if anyone using Magento enterprise edition needs to use their own SMTP servers or Google Apps account, I’m sure your tips will help. Was this enterprise specific or just store configuration in general? It is just Store Configuration in general. I was unable to open Log and Test page post install (gave 404) because of store config (#1). The rest just to make sure they’re properly configured. Thank you very much for the Extension. I following the manual installation steps and your extension work now. THANKS! I tried with Magento connection but always come up with errors. I have a question for you: which version is the latest version? I see you have version 1.3.4, and also 1.1.1, I install the version 1.1.1, is this the latest version? Hey guys, This might be the wrong post to ask the question as it is discussion installation via ftp but since we have all the magento devs here i am going to put it here. I am having the issue Couldn’t resolve host ‘magento-community’ when i go in to try and install from the admin panel and i get the same sort of error when i try to connect 2 key as well. Any ideas why that would be? Could me being behind a proxy or firewall be causing that? The module i am trying to install is a stable release. Installed with Magento Connect and still got this error “Fatal error: Class ‘Aschroder_SMTPPro_Model_Mysql4_Setup’ not found in /var/www/includes/src/Mage_Core_Model_Resource_Setup.php on line 234 ” … trying to figure out the reason now.